I stumbled upon soap-making whilst on a Youtube ‘black hole binge’ one night during my senior year of college at Ohio State. As I started watching video after video, I first thought that I could make soap for my family as Christmas gifts. But by 3am and 12 videos later, I decided I would make a business out of it! I loved that starting a soap-making business gave me the opportunity to combine my passion for entrepreneurship, design, and making things. Plus, I spent so much time on my computer every day that I needed to do something with my hands! That last year before graduating was definitely the most emotionally difficult year of my life so far. I felt like everything had been planned in my life up until that point, and the thought of graduating and floating free into the world was extremely overwhelming. That's when I realized that there was a greater purpose behind Esse Soap Co. I want my soaps to be a reminder to take time out of your day to practice self-care. Instead of just taking a quick shower, use this time to step out of your mind and check in. What does this soap smell remind you of? How does it feel against your skin? What sort of emotions are you experiencing right now and where are they in your body? I noticed a very positive shift in my life once I let myself slow down regularly to check in with myself, and I want others to feel empowered to do the same. I really connect with Oprah Winfrey's quote: "You get in life what you have the courage to ask for". That's the phase I'm in right now both in my life and in my business – figuring out what I want, and taking the steps to get there. Sometimes all it takes is for someone to say 'I see you. I support you. You got this', and I want my brand to do that for people. Since I majored in Visual Communication Design, branding is my favorite part! I think above all else, I know the feeling that I want my customers to have, and I create all my designs with that goal in mind. As far as my tissue paper goes, I wanted to keep it pretty subtle so that it didn't distract from my soaps, while at the same time adding that attention to detail that really elevates the packaging and the whole customer experience. Sustainability is extremely important to business, especially nowadays when it’s become more and more important to customers. 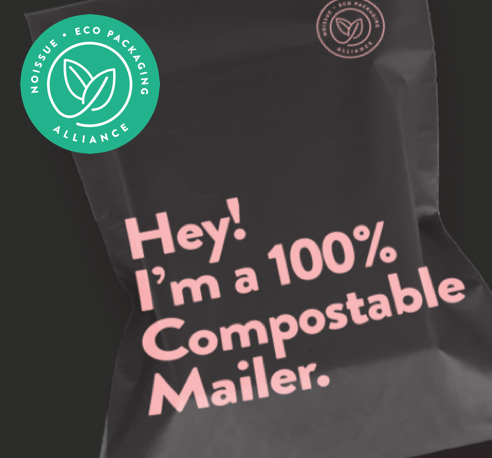 Taking the time to incorporate sustainability into your business is not only the right thing to do for the planet, but it shows you are being attentive to your customer's values too. 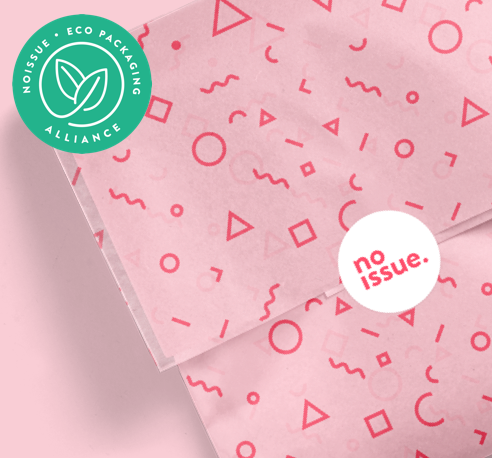 I love noissue because they are so easy to work with and their branding is so friendly! I really love friendly brands. I want my customers to know they are important. 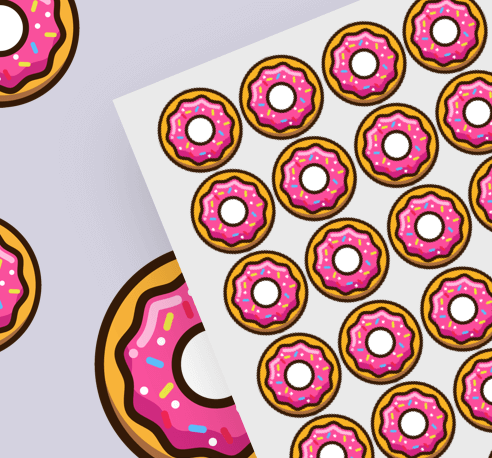 It’s those small touches like custom tissue paper, ribbons, boxes, and stickers which show that extra thought has been put into their experience.